Professor Brendan McCormack is Director of the Institute of Nursing Research and is a well-known and well-respected scholar, researcher and research leader nationally and internationally. He has been at the forefront of practice development research – an international movement in nursing and healthcare that focuses on the development of evidence-informed and person-centred practice cultures. He has published 125 publications, 23 book chapters and six books. His seminal text, Practice Development in Nursing (2004) has sold more than 3,000 copies and been translated into German and Dutch. His most recent book, An Enabling Context for Evidence-based Practice, has recently been awarded The Capstone International Nursing Book Award by Sigma Theta Tau International. Professor McCormack’s leadership qualities have been recognised nationally, not least by hisappointment as Chair of Age NI and his election as President of the All-Ireland Gerontological Nurses Association. He is in great demand as a keynote speaker and has delivered more than 140 invited keynote addresses, conference papers and seminars to international audiences. He is the Editor-in-Chief of the International Journal of Older People Nursing. 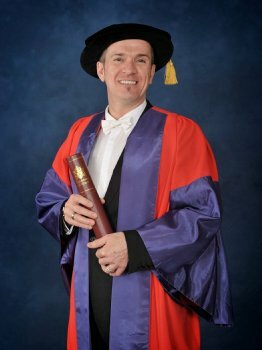 Since his appointment in 2000, Professor McCormack has been hugely successful in obtaining over £4.6 million in competitive research grants and approximately £1 million in research consultancy.